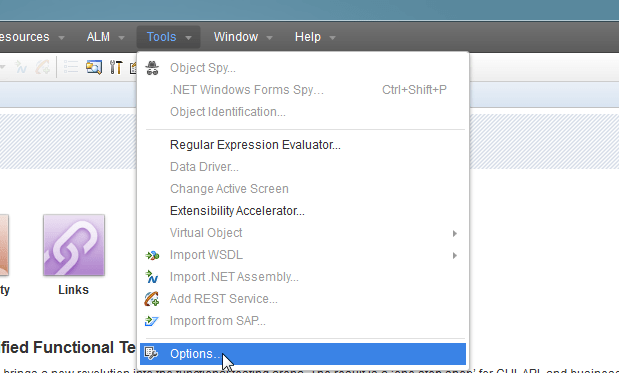 While launching QTP/UFT, there is a add-in manager displayed for the user, to select or deselect the required add-ins. But, in case if you do not see the add-in manager or if you have unchecked the option, then follow the steps below to enable the add-in manager. 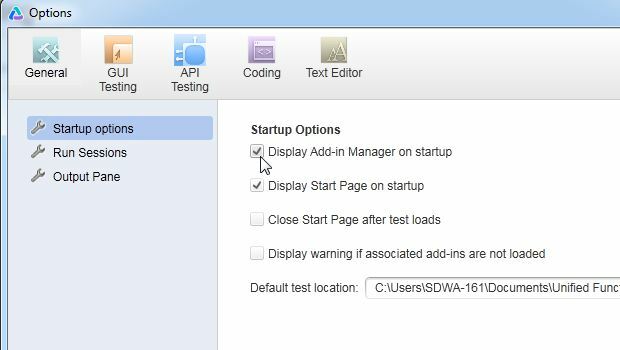 Under ‘General Tab‘ >> ‘Start Up‘ options >> Check the ‘Display Add-In Manager on start up‘ . 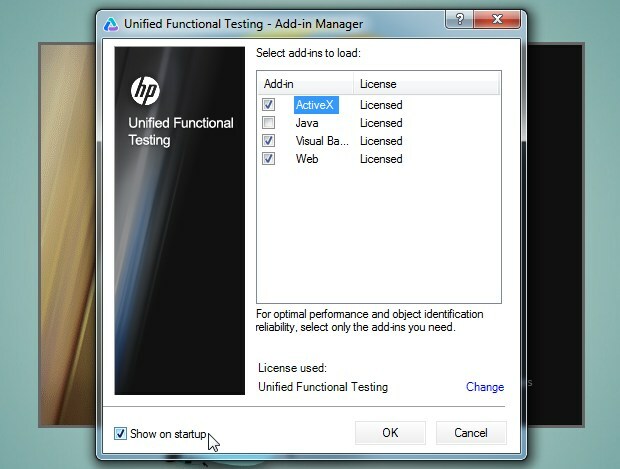 Next time you launch UFT, the add-in manager dialogue box shows up . This is a simple one, but had problem figuring it out. So, I thought to share it with you.